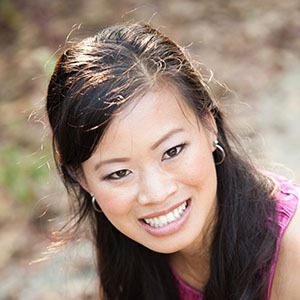 Evelyn Lee received her Bachelor of Architecture degree with honors in 2002 from Drury University where she minored in Global Studies while playing on the Women’s Soccer Team. In 2003 she received her Masters of Architecture degree from SCI-Arc. And Most recently, in 2012, Evelyn finished a dual MPA (Masters Public Administration)/MBA (Masters Business Administration) in Sustainable Management from the Presidio Graduate School. Evelyn is widely published and wrote a monthly column for Contract magazine for over 3 years. She has received numerous industry awards including the 2016 40 Under 40 award for Building Design + Construction and the 2014 AIA National Young Architects Award. She currently serves as Director-At-Large for the National Board of Directors for the AIA. Listen to this episode of EntreArchitect Podcast where host Mark R. LePage discusses Leveraging Your Skills as an Architect Beyond Traditional Practice with Evelyn Lee. Learn more about Evelyn at her website Practice of Architecture.